Howell Landscape is a Licensed/Bonded Landscape Contractor. 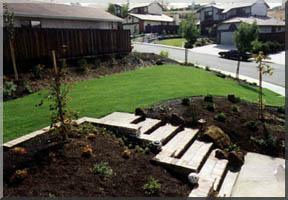 We provide an assortment of landscaping services for your specific needs. Based out of Walnut Creek, California, Howell Landscape has been serving the Northern California Bay Area's San Francisco, Alameda, and Contra Costa counties for over 10 years. Howell Landscape is a full-service landscape company, providing landscape installation, irrigation and a full range of maintenance programs. Contact us today for an Onsite Consultation.